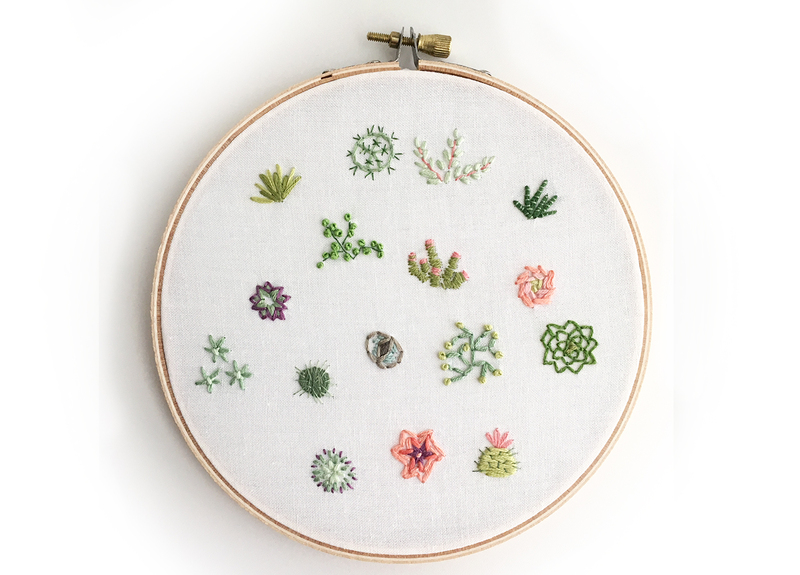 I've just added a new embroidery PDF download pattern to my Etsy shop and it's a new favorite of mine! 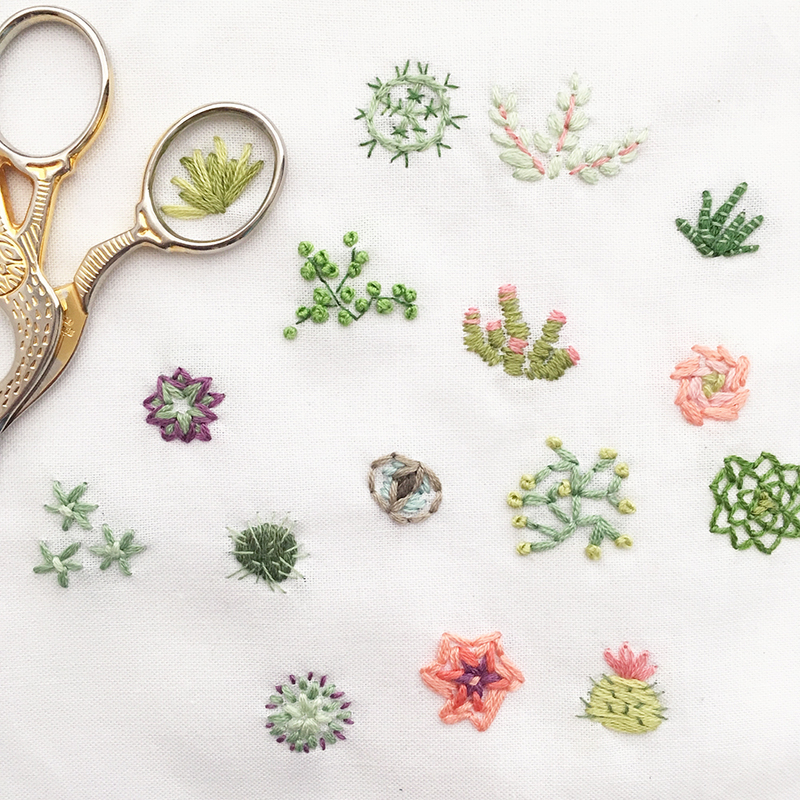 These sweet, tiny succulents are so much fun to stitch up and will make the perfect artwork for your plant corner or cactus/desert decor. 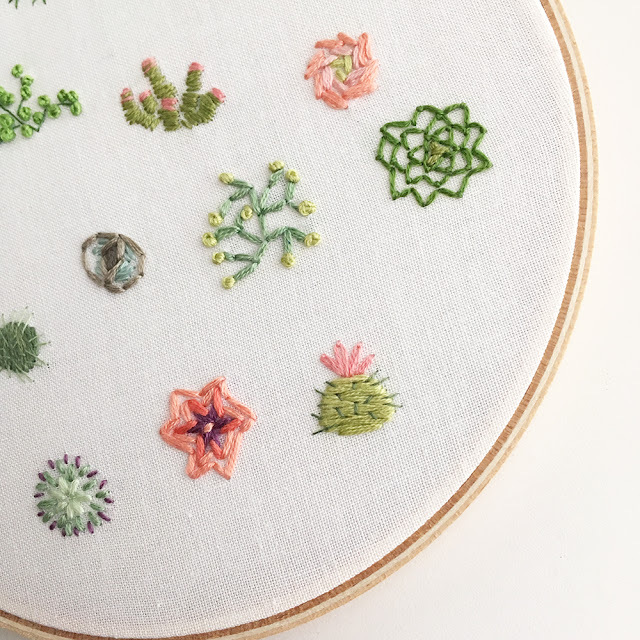 Each measuring less than an inch across, these miniature cacti all together fill a 6 inch hoop nicely. I love how all the different shades of green work together so well, complimented with pinks and a bit of purple. 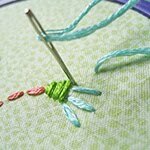 If you have a big scrap floss pile anything like mine, you'll have no problem grabbing enough random colors to complete this! 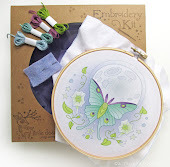 While you'll spot Satin Stitches, French Knots and Scallop Stitches (on the right side, the dark green flowery one up there,) most of this pattern is stitched using ordinary Straight and Back Stitches. I varied the number of threads quite a bit to achieve the different widths of line work, the thickest using all 6 threads and some of the tiny cactus spines using just one! I love your patterns - another cute one, it's lovely. 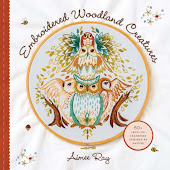 What fabric do you use for your embroidery? It looks like cotton from the picture. 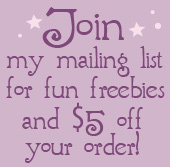 Do you have 'best' fabric and then something different for trying out things?